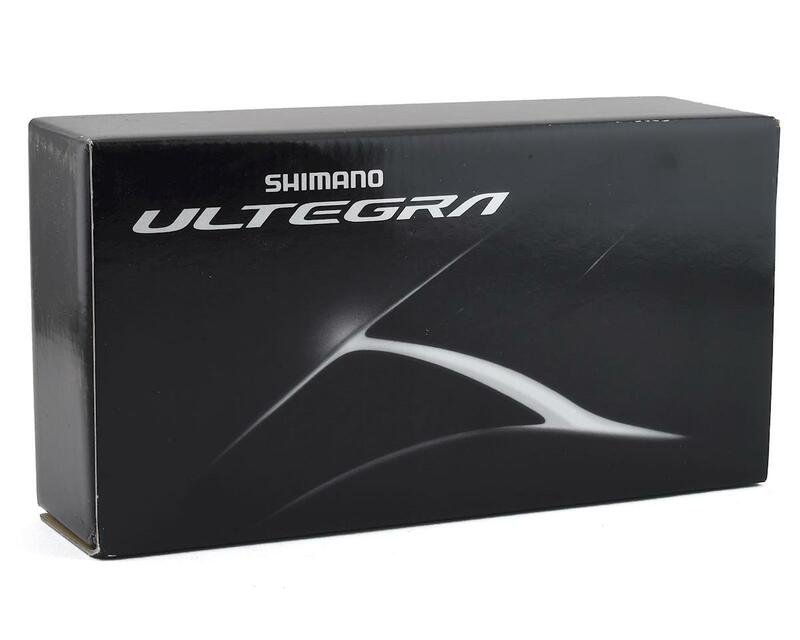 Shimano's eagerly anticipated re-vamp of the esteemed Ultegra group is now upon us, and the Ultegra PD-R8000 pedals feature several key refinements over the previous Ultegra PD-6800 version. 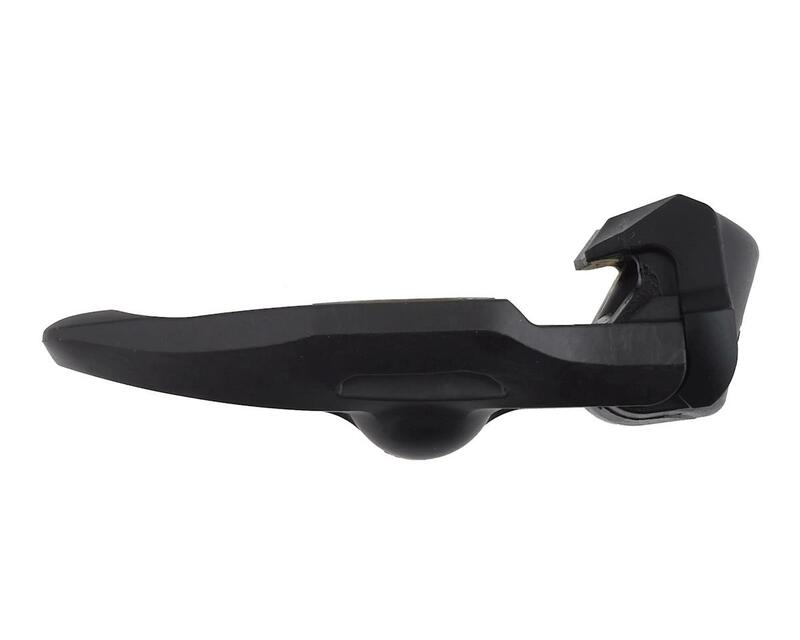 Shimano has managed to shave off 10 grams for a new, lighter 248 grams/pair weight. 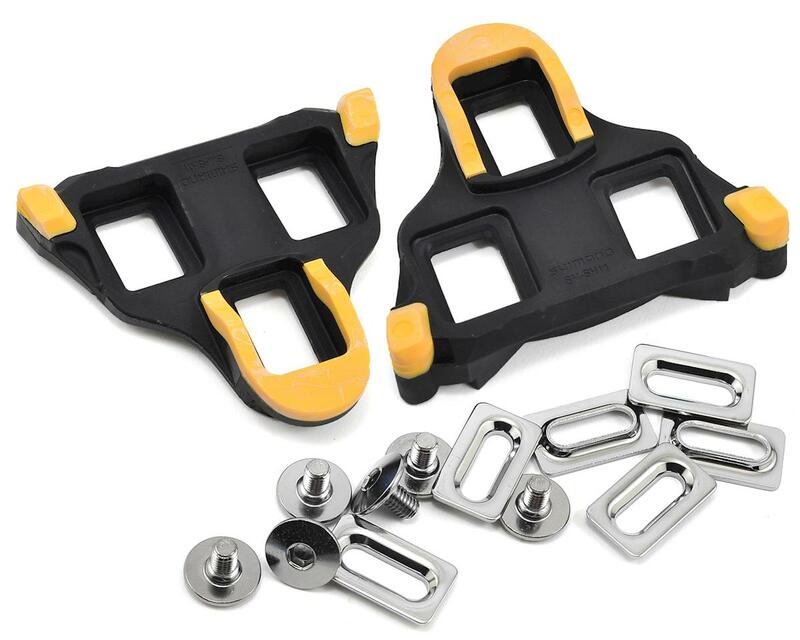 The R8000 pedals also sport a 0.7mm lower stack height to better optimize power transfer and pedaling efficiency. 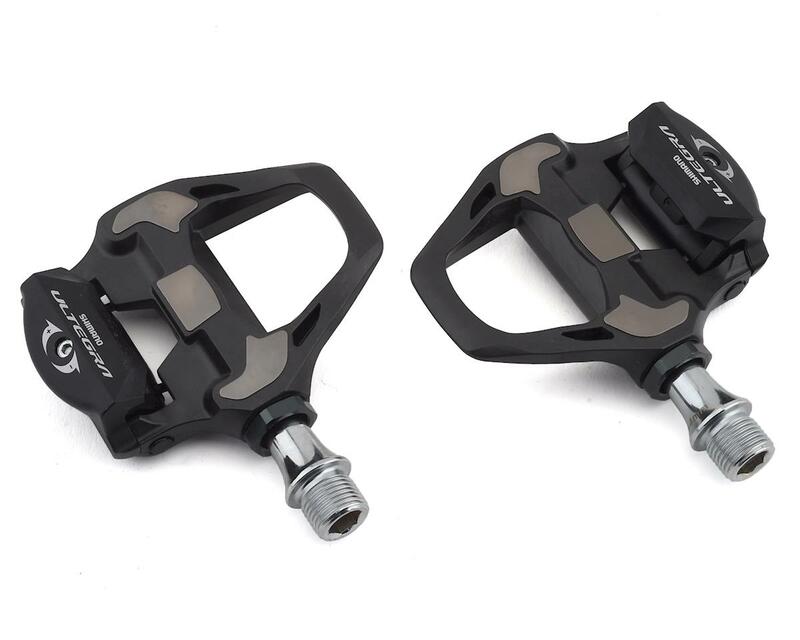 The pedals' carbon composite body and extra-wide platform further enhance power transfer while the adjustable entry and release tension settings enable you to fine-tune your entry/release preference. 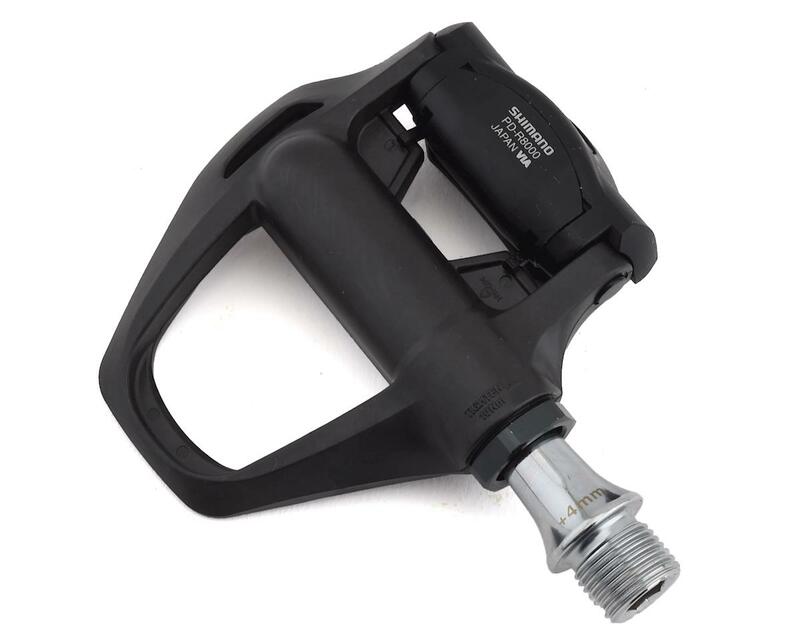 This version of the Ultegra R8000 pedal features a spindle 4mm longer that's ideal for those who need a slightly more outboard pedal position for their heels to clear chainstays or to accommodate the physiological demands of wider hips.